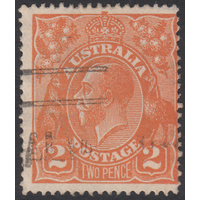 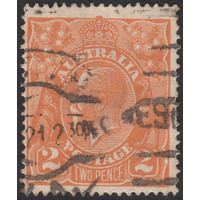 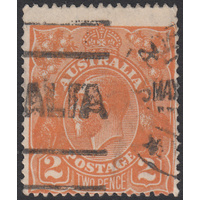 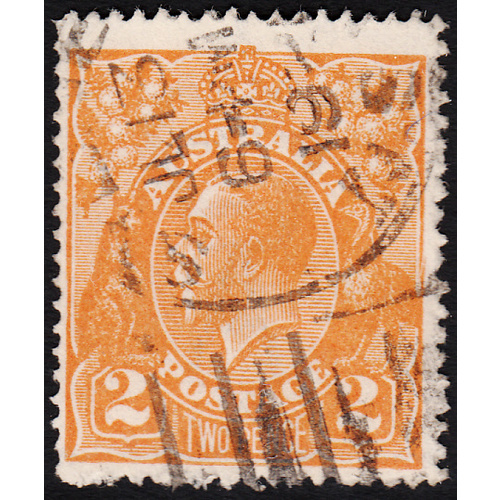 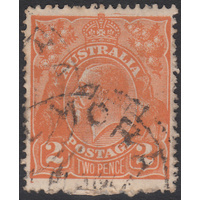 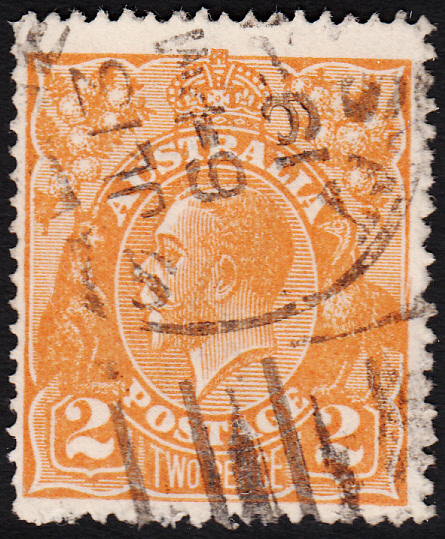 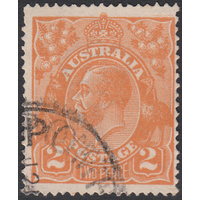 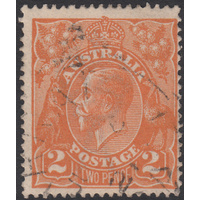 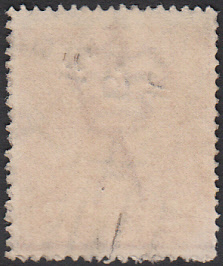 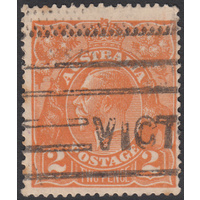 Australia KGV 1920, 2d Orange, Single Watermark, variety 4AR56, Second State (diagonal break in right frame opposite Emu) in Good Used conditon with a small diagonal split at bottom associated with a heavy postmark impression. 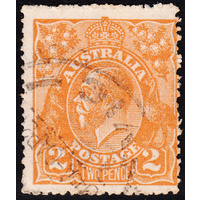 Centered left and low with a duplex cancellation (July 13th 1921) just clear of the variety. 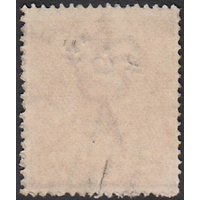 BW 95(4A)e.